This article will guide you on how to set a static IP address on your Network Media Hub through the Internet. In the Address bar, type either the name you have created for the Network Media Hub or its IP address. NOTE: By default, the IP Address of the media hub is 192.168.1.120. 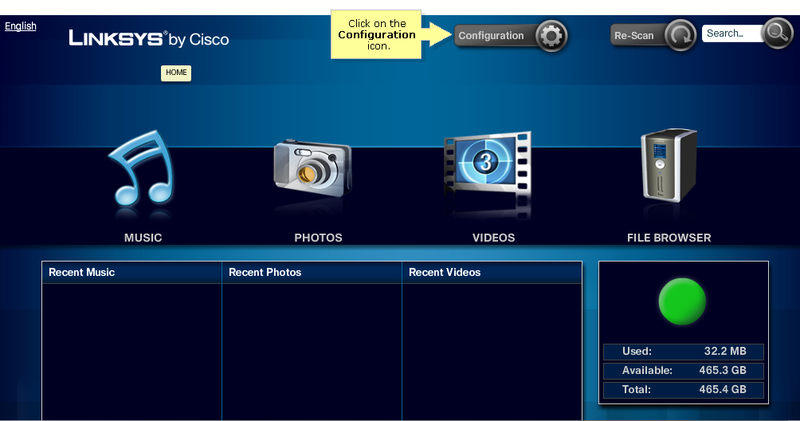 On the main screen, click on the Configuration icon. Enter the password you have created for the Media Hub then click on Submit. NOTE: Check the Save Password box if you don't want to key in the password on your next login. 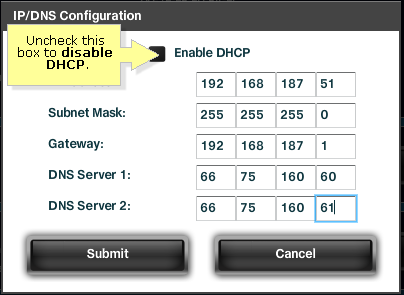 Click Change on the IP Address section. 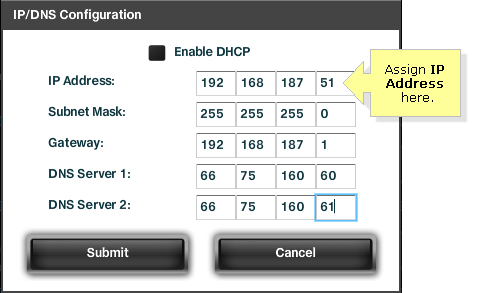 Uncheck the Enable DHCP box. Assign the IP address information and click on Submit. 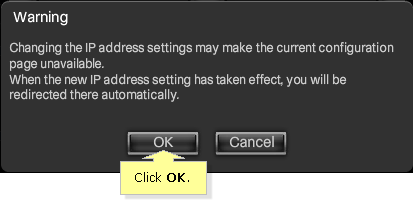 Click OK when you see this warning screen. Click OK again in the confirmation box. NOTE: Your Media Hub should now be using a Static IP address.